I was the archetypal working woman, out to ensure that my gender did not give anyone reason to question my work. I did what many women did - drove straight from work to hospital to deliver my babies, negotiated contracts with clients while in labour, wrote presentations while on maternity leave, rushed home occasionally from work to feed the girls or say a quick hello before heading back for a late evening brainstorming. I was on roller skates going at crazy speeds...until I went through two defining experiences. A couple of days before a mega India launch for a global telecom major, we were in the throes of last minute madness at the PR Consultancy I worked for, nailing down every little detail for a glitzy launch. I’d gone home to spend an hour or two with my few months old daughter before heading back to work for what was likely to be a long night. I returned to a very angst client, mad for no reason as happens when under a lot of pressure and deadlines. He stood on this bridge in the atrium of our office, yelling at me for going home, saying something to the effect of “I don’t care that you have a baby...” It was a light bulb moment. His words played back in my mind for several weeks after what was a highly successful launch and I thereafter often questioned myself about my priorities and what should matter in my life. I made a resolve that no client would ever come in the way of my family. Not too long after, I went on a Chevening Scholarship to do a programme in Women in Leadership & Management in the UK. I chose to do my research on Work-Life Balance which was another defining experience. The assignment took me, a firm believer that work and life balance would not work in the PR consulting business I was in, to meetings with fascinating professionals who shared their experiences in working flexible schedules, networking, mentoring, etc. I returned to India converted and worked to make changes in my work place that would ensure my team (and I) had a life outside work. Work-life balance took on a whole new meaning for me and I was a convert! In the process, I realised that ensuring a healthy work-life balance was all about making choices and setting expectations. Choices for yourself in determining your priorities and how you want to live your life. And setting expectations so that others in your network be they colleagues, clients, partners, children, etc know and understand what you can and will deliver and expectations are aligned. 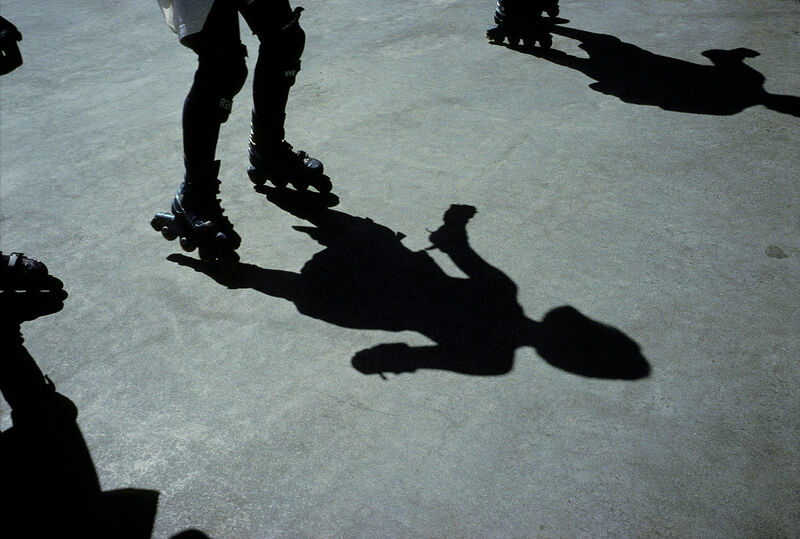 Today I am a happy roller skater...I skate through the week and weekends, doing things I am happiest doing, at speeds I can control and without any remorse or guilt. That’s why I love the week of International Women’s Day...because it reminds women that we have, as much as men, the strength and power to steer the course of our own lives and, in doing so, impact the lives of all those in our spheres of influence. PS: I don‘t think I would have been able to do all that I have without a supportive husband so a supportive partner is another ingredient for success!